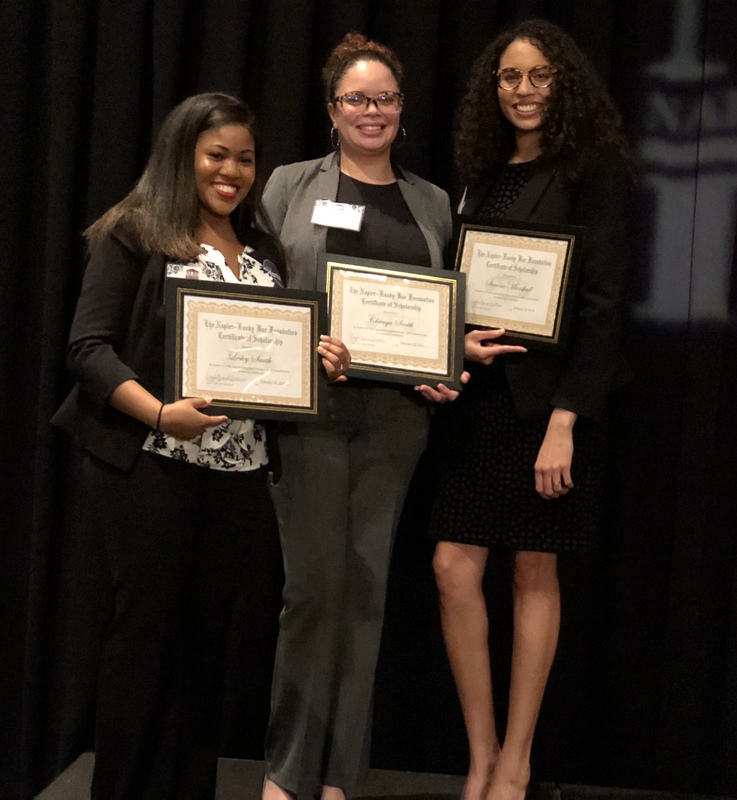 Simone Marshall, Belmont Law 2018, Chicoya Smith, Belmont Law 2018 and Lesley Smith, Belmont Law 2020, were recently awarded Napier-Looby Bar Foundation Scholarships. These awards are presented to current law school students based on academic achievements and community engagement. Three of the four coveted scholarships were awarded to current Belmont Law students. The awards were presented at the Napier-Looby Bar Foundation’s 14th Annual Barristers’ Banquet and Awards Program. Event attendees included elected officials, judges, and members of the Nashville bar.